Amazon Books are offering Up to 25% off on IBPS Exam Books. They are offering the discount on large Books of IBPS. The shipping charges are free. 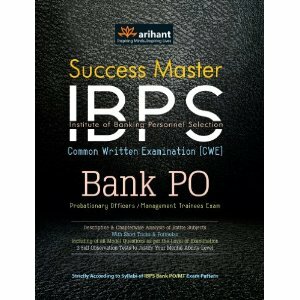 These Books includes Success Master IBPS, Comprehensive Guide to IBPS-CWE Bank PO/MT Exam, Target IBPS-CWE Bank PO/MT Exam Practice, IBPS: Common Written Examination (CWE) Guide, Genaral Knowledge and many more. Buy Books at flat 75% Off.